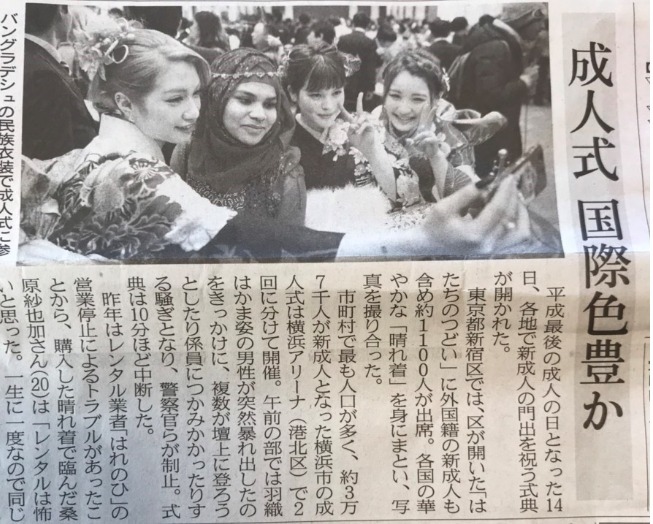 Our student whose photo was posted on the newspaper when she attended Coming-of-age ceremony. n Japan,when you reaches 20 years of age,you are considered to ba an adult. Drinking alcohol is permitted from this age,also given right to vote. And the day to celebrate people turning 20 that year,it’s called “Coming-of-age Day”.Before is celebrated on 1/15,but from 2000 to now,is occurs on every second Monday of January. Is your country also have this kind of celebrate event?? ?